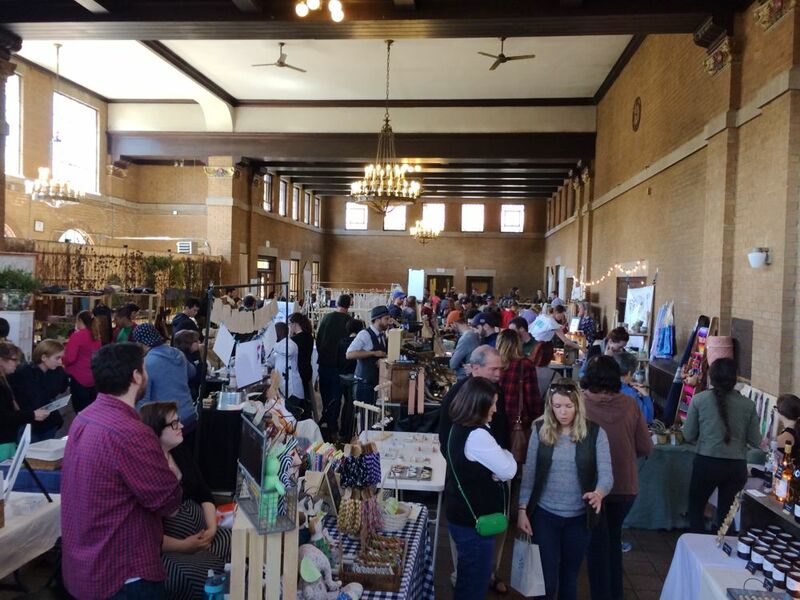 The Half Moon Market returns to the Washington Park Lakehouse this weekend. You know how you tell people that you like living here because you can enjoy four seasons? Wait, maybe that wasn't you. Maybe it was us. Or maybe it was someone who was talking to us. Anyway, there are people who enjoy living here because they like to enjoy four seasons. We know you've met them. And this weekend is an example of why they live here. Mid-October kind of sums up autumn in the Capital Region. So take a walk through the leaves, pick a pumpkin and decorate it. Then try something from this list of stuff to do that we raked up for you. If you're planning something that didn't make our list, share it with the rest of the group in the comment section. And whatever you're up to, wear a cozy sweater and have a fantastic weekend. Saturday: The Melissa Etheridge show at The Egg is sold out. Sunday: The Hot Tuna show at The Egg is sold out. Thursday-Sunday: Park Playhouse presents the musical Always Patsy Cline at Cohoes Music Hall. Thursday-Sunday various times -- $27 / $17 under age 18. The Institute is currently exhibiting Thomas Cole's Paper Trail, Birds & Beasts: The Scary, Magical, and Adorable Animals of the Albany Institute, and A Menagerie of Whimsey: The Art of William B. Schade. The State Museum has opened the second phase of its Enterprising Waters: New York's Erie Canal exhibit. The Opalka Gallery on the Sage Albany campus has Sharon Bates: Exhibit B on display. The Albany Institute of History and Art, MopCo, and Northshire advertise on AOA. At the Spectrum 10-21, 22,23!! Broadcast live and recorded in 2018 by National Theatre Live from London’s West End, see Ian McKellen’s "extraordinarily moving portrayal" (Independent) of King Lear in cinemas. Chichester Festival Theatre’s production received five-star reviews for its sell-out run, and transfers to the West End for a limited season. Jonathan Munby directs this contemporary retelling of Shakespeare’s tender, violent, moving and shocking play. The live broadcast screens at the Bethesda Row Cinema only, on Thursday, September 27 at 2:00pm. All subsequent showings will be a recording of that performance. Please note that this performance of King Lear includes strobe lighting.